CEC is an ecumenical fellowship of churches in Europe which confess the Lord Jesus Christ as God and Saviour according to the Scriptures. The Conference came into being after the Second World War. In its commitment to Europe as a whole the Conference seeks to help the European churches to renew their spiritual life, to strengthen their common witness and service and to promote the unity of the Church and peace in the world. EYCE used to be associated youth organisation of CEC until 2013. Nowadays the organisations are frequently in touch and benefit from one another’s expertise. EUJS is an umbrella organisation for 34 national Jewish student unions in Europe and the FSU. Cognizant of the religious, linguistic and cultural diversity that make up the European Jewish community, EUJS strives to present a variety of perspectives. Throughout its history, EUJS has placed itself at the cutting edge of inter-cultural and inter-religious programming, as well as programming related to genocide education, advocacy and Jewish continuity in Europe. EYCE and EUJS cooperate in interfaith/ interreligious dialogue. FEMYSO facilitates development, networking and cooperation between European Muslim youth and student organisations and is their representative voice within all European institutions. EYCE and FEMYSO cooperate in interfaith/ interreligious seminars and campaigns. EIYN serves as a platform aimed at bringing together youth organizations and young individuals from all religions present in Europe, advancing common action for peace. It is a part of the Religions for Peace Global Youth Network. EYCE cooperates with EIYN in its work regarding interfaith/ Interreligious dialogue. Syndesmos aims to be a space where movements and people encounter each other and share their gifts and vocation, in communion and otherness, in order to manifest the fullness of Christ in the Church. EYCE and Syndesmos cooperate within the ecumenical movement in Europe. Independently established by youth organisations YFJ is made up of more than 90 National Youth Councils and International Non-Governmental Youth Organisations, which are federations of youth organisations in themselves. It brings together tens of millions of young people from all over Europe, organised in order to represent their common interests. 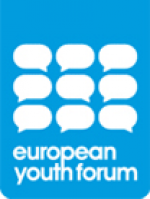 Representation, internal democracy, independence, openness and inclusion are among the main principles for the functioning of the European Youth Forum and its Member Organisations. The European Youth Forum represents and advocates for the needs and interests of all young people in Europe, through their positive and active participation. EYCE is part of YFJ and through it actively advocates for the interests and needs of young people. YMCA Europe is a working fellowship to strengthen movements where people grow in body, mind, and spirit. The YMCA, founded in 1844 and having over 45 million members, is the oldest and largest youth organization in the world. EYCE and YMCA Europe cooperate mainly in the fields of European youth politics and youth participation in the ecumenical movement. YWCA is a global network of women leading social and economic change in 125 countries worldwide. It advocates for peace, justice, health, human dignity, freedom and care of the environment, and has been at the forefront of raising the status of women since it was founded in 1894. EYCE and YWCA mainly cooperate within CEC and YFJ. It is a community of 349 churches on the way to visible unity in one faith and one eucharistic fellowship, expressed in worship and in common life in Christ. EYCE is a partner of WCC in the field of youth participation and youth programmes and aims at increasing youth participation within the work of WCC. The World Student Christian Federation (WSCF) is a global fellowship of Christian students in over 100 countries. We organise conferences, training events and solidarity activities. Europe is one of the Federation’s six regions, with 23 national Student Christian Movements (SCMs) in 18 countries. EYCE cooperates with WSCF-E in many ways. The two organisations organise joint seminars, as well as promote youth participation within the ecumenical movement and towards European institutions.